Who doesn’t appreciate a good baked ziti recipe?! I know I do! 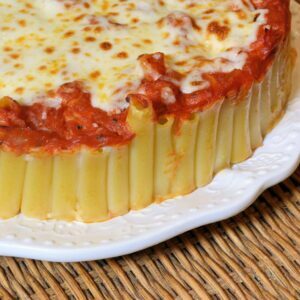 This Baked Ziti Pie is a great way to turn your typical baked ziti casserole into a new and improved recipe! Try this amazing pasta recipe today! Baked Ziti Pie is a new twist on an old classic. Ziti smothered in marinara and cheese, but in pie form! 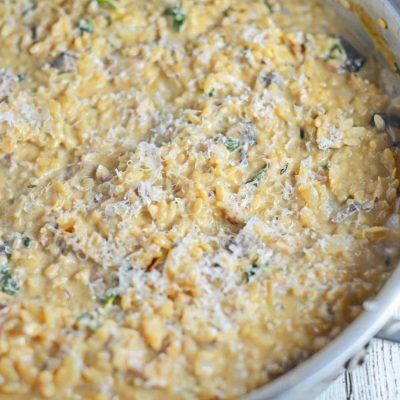 Make with a side of Italian sausage or meatballs. Baked Ziti Pie is baked ziti for a type “A” or slightly OCD personality. Not saying that is me or anything, ahem, ahem. Baked Ziti Pie takes a little bit more time to patiently stack individual ropes of pasta, but man it looks so darn cool! 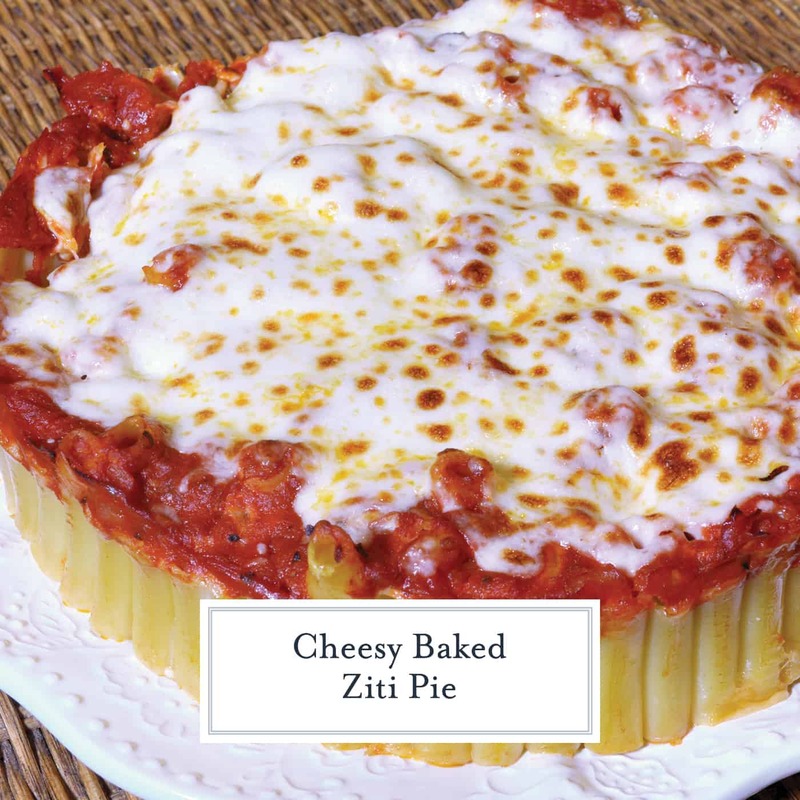 Ziti pasta pie is like a rigatoni pie, except with ziti. Rigatoni are larger in diameter than ziti, so I find it more challenging to get a rigatoni pie to stand after being released from a springform pan. Ziti, smaller in diameter, tends to work better. The preparation is actually pretty simple, just make sure you put something interesting on TV before you get started and the time will fly by! You can even make it ahead and bake right before serving. 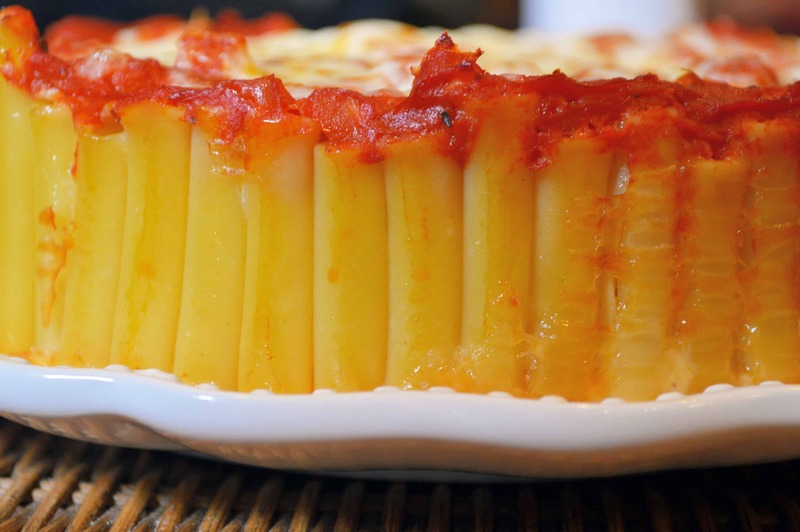 If you aren’t too sure how to make baked ziti, then this is the perfect recipe to follow! I show you step by step how to make the perfect Baked Ziti Pie. 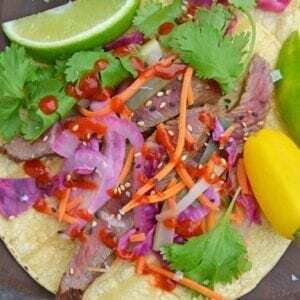 At first glance this recipe looks a bit more complicated than simple, but I’m telling you it’s well worth the time and effort! Do not over sauce. Instead, serve sauce on the side. Sauce will weigh down the cheese (glue). Use plenty of the glue (cheese). Don’t eat the pasta while you place it in the cake pan. My husband came along and swiped a fist full. He later had to make an extra trip to the grocery store because you will need every little piece in that one pound box. VERY carefully remove Baked Ziti Pie from the spring form pan and use pot holders. It can get slippery and it is very hot! Cook raw ziti according to package directions with a generous dash of salt. Cook to “al dente” or just slightly underdone because they will cook a little bit more in the oven. 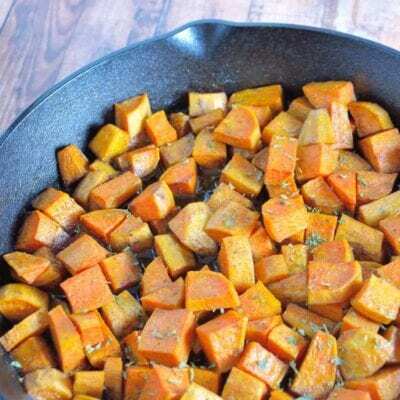 Drain well and place in the refrigerator for 1 hour. 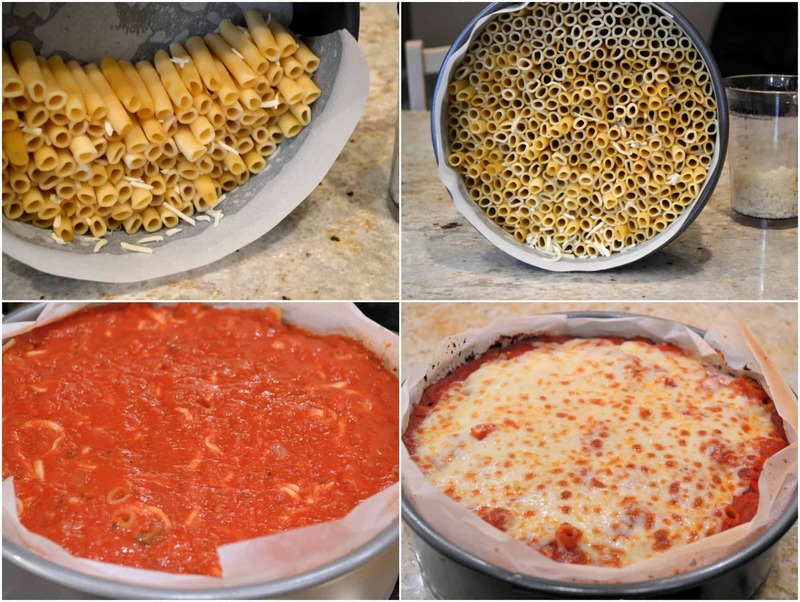 This gives the pasta time to firm up and for any residual water to evaporate or drain. While pasta is chilling, line a 9-inch spring form pan with parchment paper, bottom and sides. Spray all sides generously with cooking spray. Preheat oven to 350 degrees. Remove pasta from the fridge and place cheese in a bowl near by. Prop spring form pan on its side. If you place the springs on the bottom it will stabilize the pan. Start with a few shreds of cheese and then start lining the pan with ziti pieces. After every other layer, sprinkle just a few shreds of cheese to help bind them together. Remember, the cheese is the “glue”. Continue this process until the pan is all the way filled. If you have any ziti strands remaining, find spaces where they aren’t fitting so snug. In order for Baked Ziti Pie to work they need to be fitted together quite tight. Fill any other holes with cheese. I even went as far as placing a shred of cheese inside the majority of the ziti ropes. Top with 1/2 cup sauce, tap the pan to get sauce into the crevices. Sprinkle with remaining cheese. Finish your Baked Ziti Pie with Italian seasoning and black pepper. Place Baked Ziti Pie into the oven for 15-20 minutes or until cheese topping is bubbling and browned. Carefully remove and allow to sit for 10 minutes. This is the tricky part- getting the pie OUT of the spring form pan. The challenge is that you can’t flip it over because the ziti ropes are not uniform lengths. You are forced to very carefully push the pie upwards and slide onto a waiting serving patter. Careful- it is HOT! Garnish with finely shredded Parmesan cheese and serve with heated remaining jarred sauce on the side. Enjoy your Baked Ziti Pie! 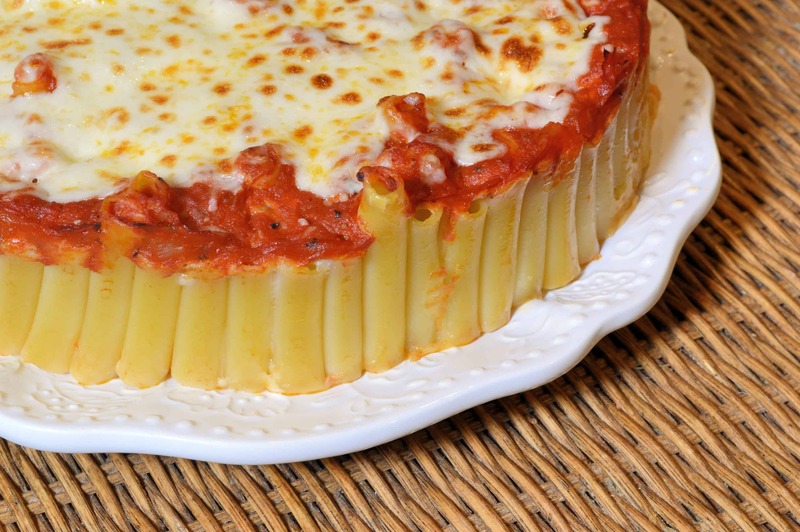 I love baked ziti pie– pasta AND I get to use my springform pan! Now THIS is awesome! I SO want to give this a shot. Of course I’ll probably make a mess out of it, but that’s okay haha. I love blogs that have recipes and for this reason. That looks great, I need a husband to cook that for. Wow! Looks good and very presentable! Wow, that does look really neat! I will definitely keep this in mind the next time that I cook this. 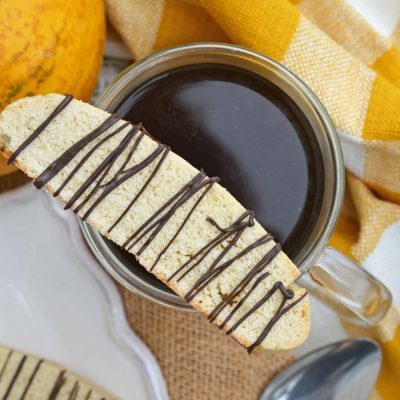 Looks so good and easy to make. Looks like an easy pie and a great family meal. This looks absolutely gorgeous… I am going to have to try and make this pie soon. I didn’t know you could stand the pasta up like that. Nice presentation! This looks delicious! We love pasta at our house – pinned o my Pasta Board. Wow! This looks delicious and so much fun for the kids! My kids would flip over a meal like this! Thanks for sharing! I love the presentation of this dish, my daughter would love it! That is really neat! I would have never imagined that one up, but need to try it out! I loveeeee baked ziti! I’ve never seen it made into a pie like this. It’s such a pretty dish. I don’t know if I have the patience to make my noodles so neat. Wow, that’s really neat. I’ve never seen a baked ziti pie before. I’d love to try one. I’ve never seen Ziti looks so neat. Looks good, too. I like a good baked Ziti. I’ve never seen anything like this before! What an awesome idea. What a nice presentation of this recipe. Something that I am definately going to try to make thanks! I remember this post! I loved how awesome it looked. A fun twist on a classic dish. I love this recipe!! it looks so pretty and i bet tastes awesome!! pinned it! 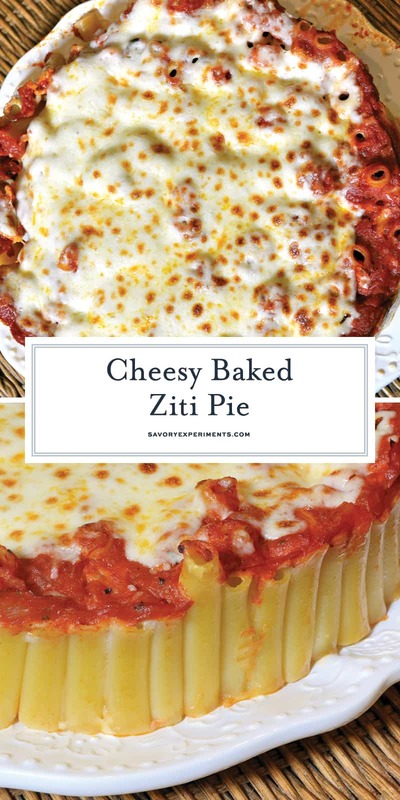 This looks like a fun way to do baked ziti! Love it! Pinning! That is hands down the prettiest pasta dish ever. And now I want ziti. Badly. Thanks so much! It was as good as it looked! I haven’t made baked ziti in way too long! Now, I’m going to have to! This looks delicious. I’ve got to make this! I just throw on a TV show and do it mindlessly, doesn’t take more than 10-15 minutes. Or you can get the kids to do it! This looks fantastic. I will have to try making this on the weekend. Looks simple to prepare. Simple to prepare, just a little more time consuming than tossing pasta in a dish, but well worth the time! Oh. My. Goodness. This looks so delicious! I can’t wait to make this soon! What an awesome presentation. Looks so good. That looks so cool! 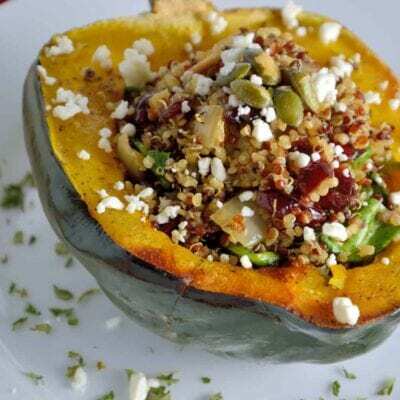 This would be a great dish for special occasions. This looks great. My family loves baked ziti but I never thought to make it like this. That’s way too cool! Baked ziti and turkey with sauce is a staple in our house. I am from a big Italian family, so baked ziti always was and still is one of our staples., It’s so easy to make, too. Yum! 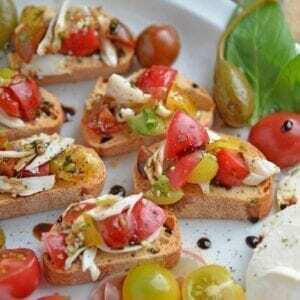 OH, this looks like a great way to serve baked pasts! Much easier to serve than baked spaghetti!